Karagh has been Irish step dancing for a total of 22 years. She began Irish dancing with the Fitzpatrick School of Irish Dance located in her hometown just outside of Philadelphia, PA. 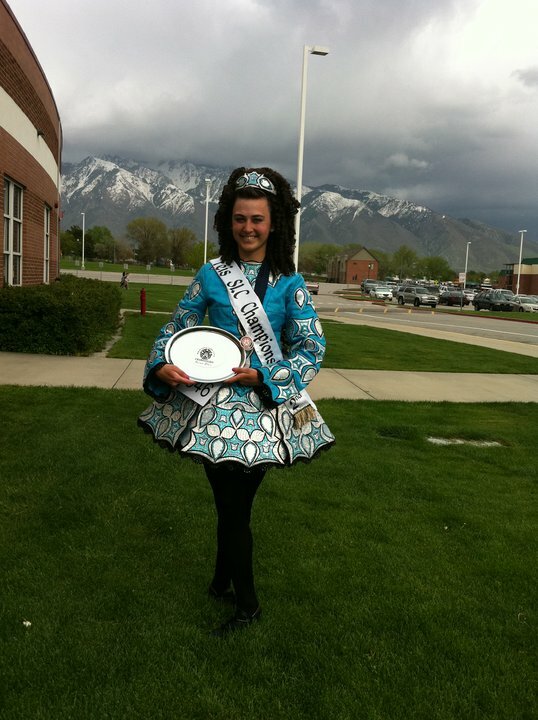 When she moved to Denver to pursue her undergraduate degree, she began competing with the Bennett School of Irish Dance in Aurora, CO. Karagh has competed at the local, regional and national levels both in solo competitions and group dance competitions. Since moving to Laramie six years ago, Karagh has stopped competing and instead has enjoyed teaching and spreading her love of Irish Dance at the Laramie Dance & Arts Center. Karagh also helps trains another student at LD&A, Rebecca Lyford, as she begins to compete at local and regional Irish dancing competitions. Karagh has just recently been awarded her PhD in Neuroscience and is looking forward to continuing her research and passion for Irish dance in Laramie!